“We are hitting the limits of physics in many cases” These words, spoken by an IBM engineer about the new zEnterprise EC15 mainframe do well to describe the processor that runs it. The z12, as we’ll refer to this processor, replaces the z196 as IBM’s top performer. The z196 ran at a slothly 5.2GHz, the fastest commercial processor in the world until now. 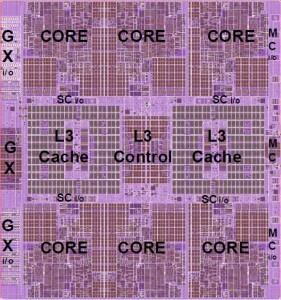 The z12 runs at 5.5GHz and was designed to be clocked up to 6GHz. It is made on a 13layer 32 nm High-K process (the z196 was made on a 45nm process). This allowed a doubling of logic and cache density. The EC12 is designed with single thread performance in mind. While many systems today focus on massive parallelism, and optimizing code for multi-threading, some tasks do not work well that way, data analytics, batch processing etc, are fundamentally serial processes, so less cores, and more speed per core is far more important. 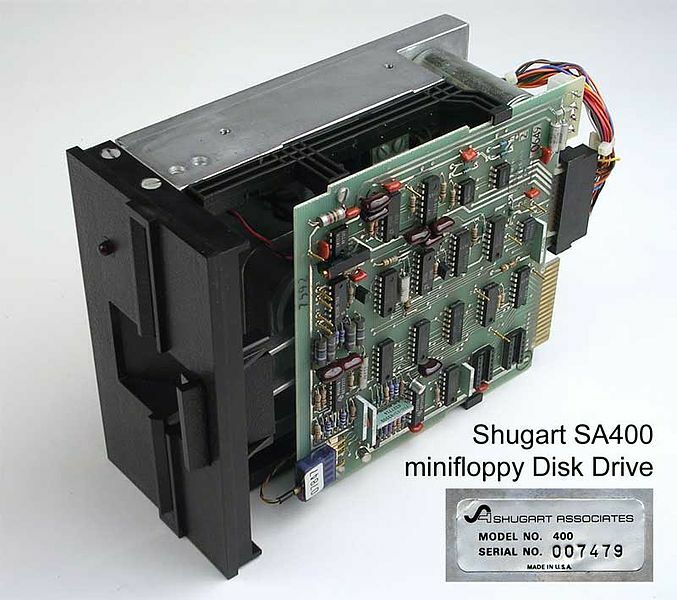 The z12 is based on a MCM (Multi-chip module) that contains 6 Processing Units (PUs) and 2 Storage Controllers (SC, which contain 196MB of L4 cache each) for a total of 8 dies on each MCM. 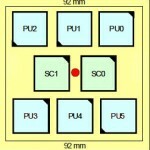 Each PU contains 4, 5 or 6 active cores. 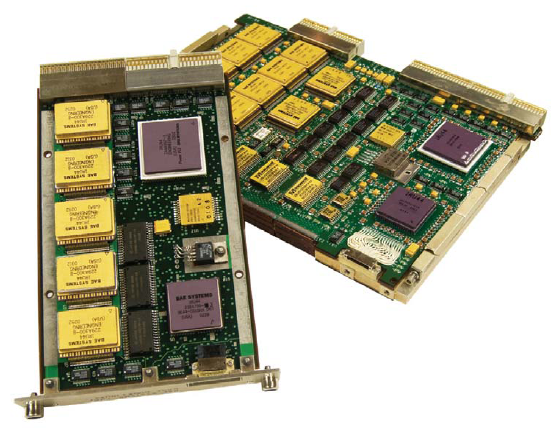 The MCM is a 103-layer glass ceramic substrate (size is 96 x 96 mm) containing eight chip sites and 7356 land grid array (LGA) connections. 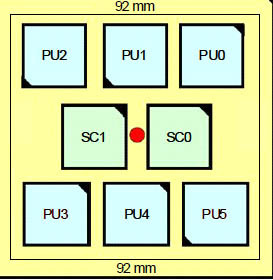 Each PU chip has 2.75 billion transistors. Each one of the six cores has its own L1 cache with 64 KB for instructions and 96 KB for data. 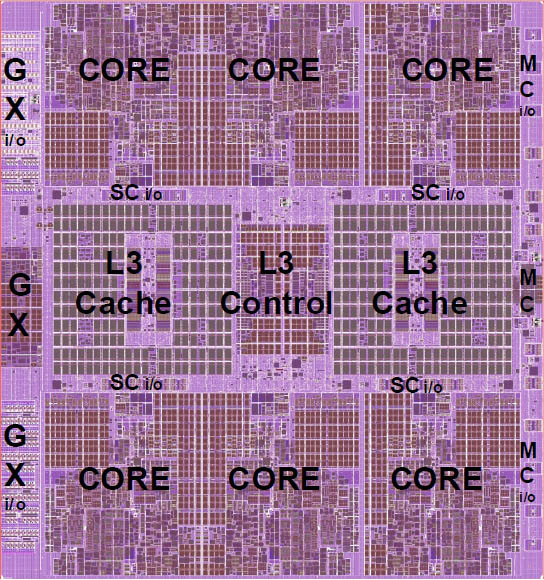 Next to each core resides its private L2 cache, with 1 MB for instructions and 1 MB for data respectively. Yesterday Hans Camenzind passed away at the age of 78. Hans was a notable inventor of Swiss decent. Perhaps the most famous of all his inventions occurred in 1972 while working on a contract with Signetics he invented the 555 Timer chip, a simple oscillating IC that was inexpensive, and easy to build with. Now, even 40 years after its introduction, around a billion per year are still made, by dozens of companies around the world. 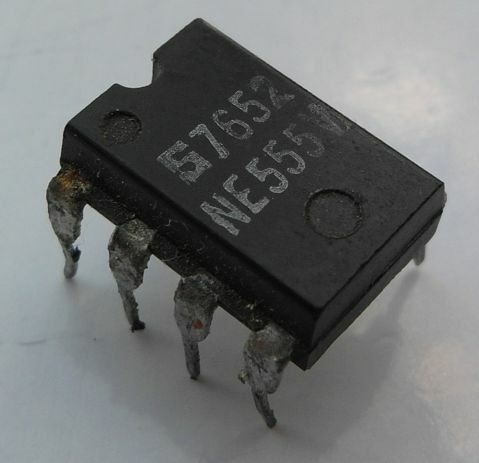 The 555 Timer is often one of the very first IC’s electronics hobbyist begin experimenting with. Its applications are far reaching and while certainly not a CPU, its significance, and that of Camenzind, should not be forgotten. The 555 Timer has of course been used in many many computers, notably in the Apple II computer as a joystick controller (558 Timer, which is a quad 555). 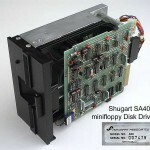 Other uses include the IBM PC, Ataris, and many many more. In honor of Hans Camenzind, and the 555 Timer, go experiment with one and experience the joys of a device over 40 years old. Dont have one? They cost a whopping $0.95 at Sparkfun. The Spacecraft CPU page has been updated, after a long gap. It now includes information of the recently landed Curiosity Lander, some new information on the 45 year old Voyager series as well as some on New Horizons, DAWN, and several others, so check it out.